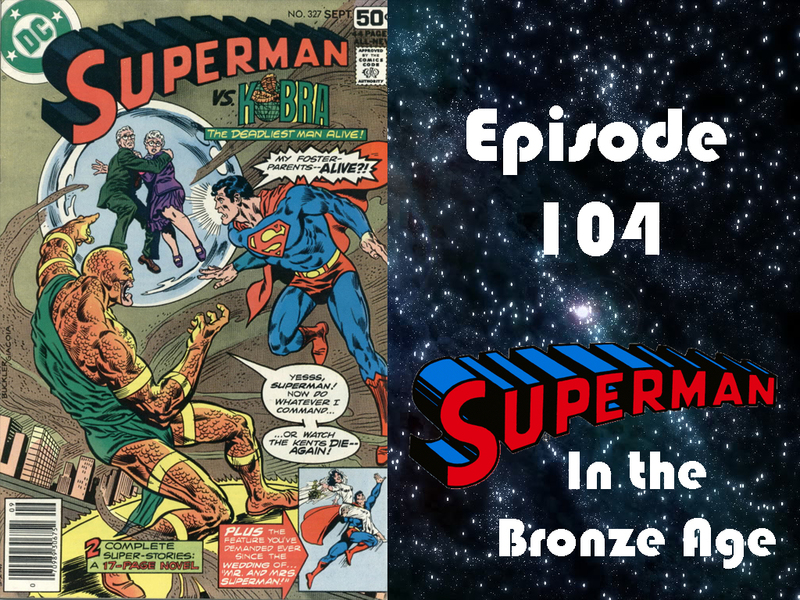 Episode 104 — The Sandstorm that Swallowed Metropolis! Superman goes up against the evil Kobra, with the lives of Jonathan and Martha Kent hanging in the balance! Hi Charlie! Another barn-burning episode. Great comic. Again..didn’t have time to read before listening, but I enjoyed remembering that comic. I’m glad you decided to add the Mr. & Mrs. Superman storyline to the show. I don’t know how many more there were in Superman before they moved to Superman Family, but I’ll enjoy them while I can get them. My Superman collection has another gap until #330. I remember you talked about that one before. I remember how much love you gave that issue. (SARCASM) For your listeners, that’s the issue about Super-Hypnosis and why people don’t recognize Superman as Clark Kent. I liked it myself. I continue to Thank You for the plugs you give my podcast. It’s slow going, but coming along. Had my “Pre-Episode” and hope to have the official Episode #1 very soon. I even get to plug your show since you did DC Comics Presents #1 not too long ago. (or maybe a long time ago…I can’t remember) Oh well…better end here for now. Continued success! !